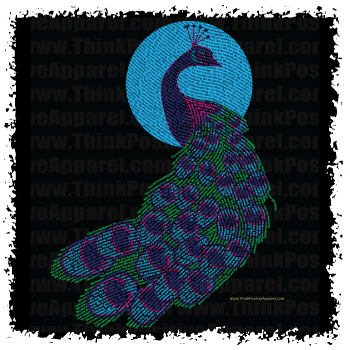 Click on a design to see the available shirts with that print. 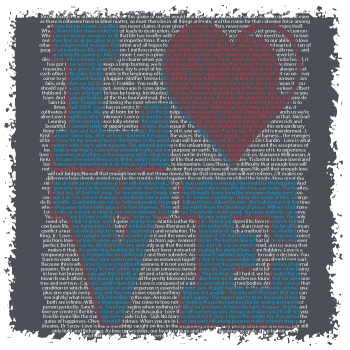 Our 'State of California' design is made entirely out of quotations from various artists, leaders, scientists, and philosophers born in the state of California! 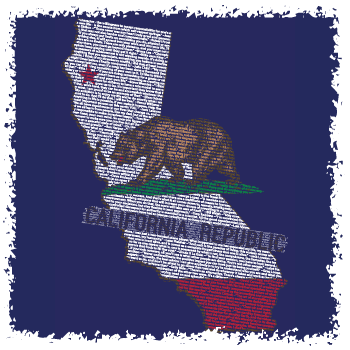 You can find the California state song, "I love you California", in the "California Republic" section of the design. Do you see the dancer in the tree? 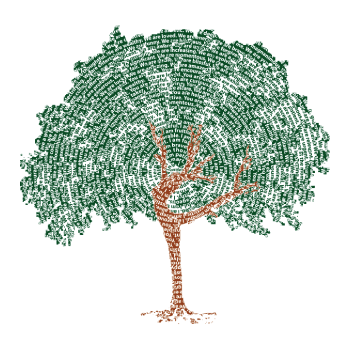 The Dancing Tree is built out of positive affirmations; starting with "I am" affirmations, then branching outwards to "You are" and "We are"
This Elephant is practicing their Warrior 3 Yoga Pose (Virabhadrasana III). 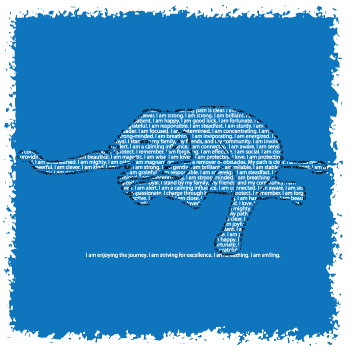 The design is made entirely from affirmations relevant to the symbolism of an elephant like "I am charging through obstacles" and "I am good luck"! 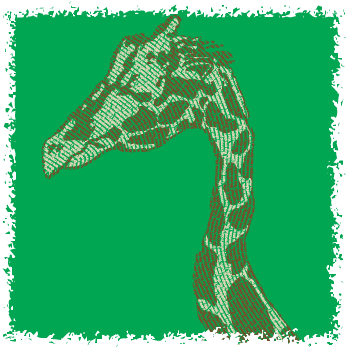 This giraffe design is made entirely out of affirmations relevant to the symbolism of the giraffe. Take a closer look and see which affirmations jump out at you today! If you apply the right attitude in the right moment you will be embracing your higher self, which is one example of the symbolism of the giraffe! With its head held high the giraffe looks far into the horizon to see the big pictures and the best path towards their goals. 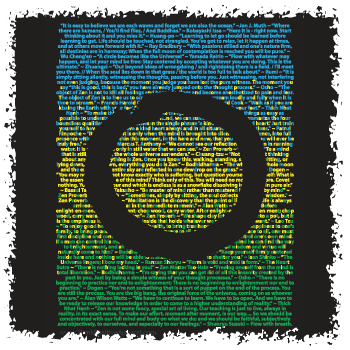 Made entirely from quotations about the Golden Ratio, Golden Rectangle, Golden Spiral and their connection to the universe! 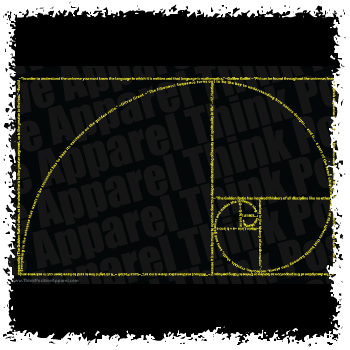 The Golden Spiral and Golden Rectangles in Fibonacci tiling are made from TINY, POSITIVE words. 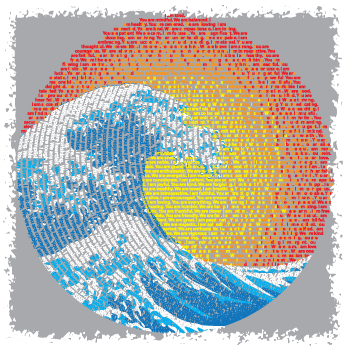 The famouse Great Wave curling against the Sunset (or sunrise) backdrop and made completely out of tiny, positive "I am", "You are", and "We are" affirmations. The curl of the wave makes the Yin Yang symbol. That both the wave and the sun are made of affirmations means that there is a bit of both in each. 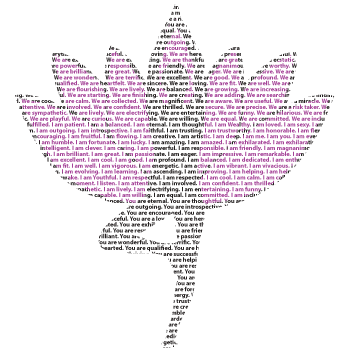 Our Lotus Flower design is made out of quotations and affirmations about the symbolism of a lotus flower. 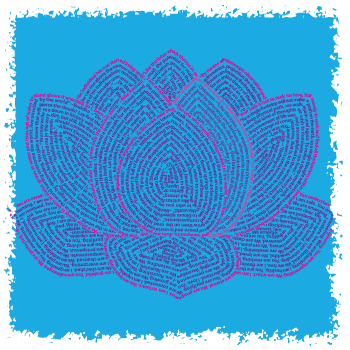 The lotus flower is a symbol of beauty, purity, discipline, growing towards enlightenment, and breaking through false barriers. 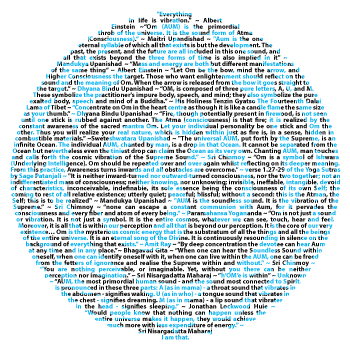 Made entirely from tiny affirmations about the symbolism of the Turtle like "I am protecting". 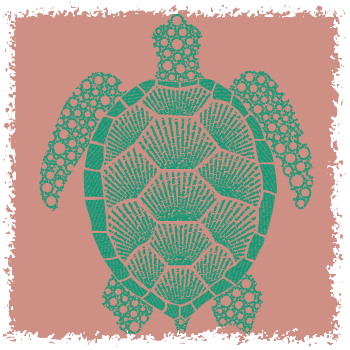 The Sea Turtle symbolism includes protection, good luck, support, and setting your own pace! 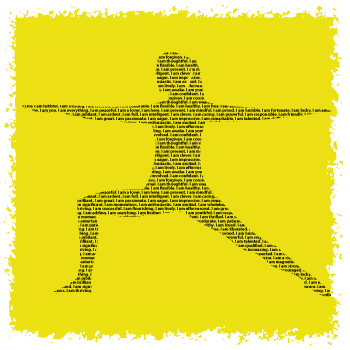 Hashtags bind conversations on the internet together just like yoga binds our breath to movement! 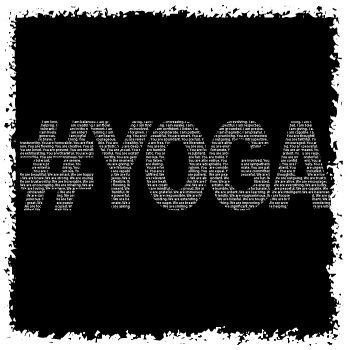 The larger phrase "#YOGA" is made completely out of affirmations relevant to yoga like "I am flexible", "You are mindful", "We are present". 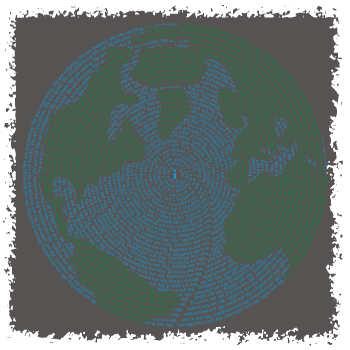 The Earth is built by circles of affirmations starting with "I am" statements and circling out to "You are" and then "We are". 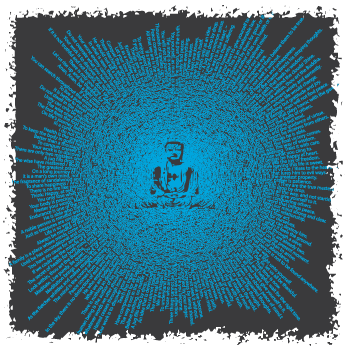 This represents the expansion of awareness and connectivity. 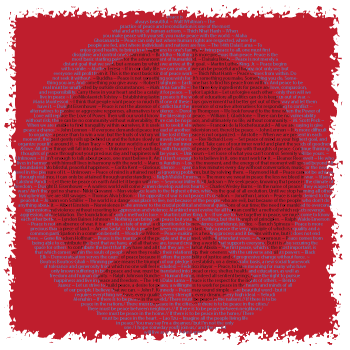 Positive affirmation statements like "I am powerful", "You are peaceful", "We are capable", "I am flowing"! 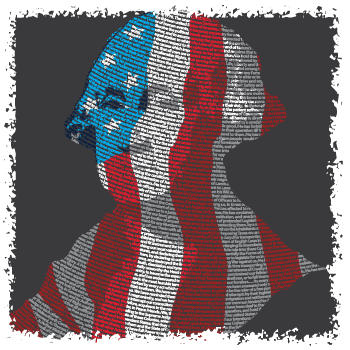 Declare Independence from your ego and show your love of the ideals of America in this limited run George Washington Design. The design is made out of the Declaration of Independence and you can see an American Flag waving across the Presidents face. After the Declaration of Independence was signed, George Washington's leadership guided a young America through the revolution against tyranny. 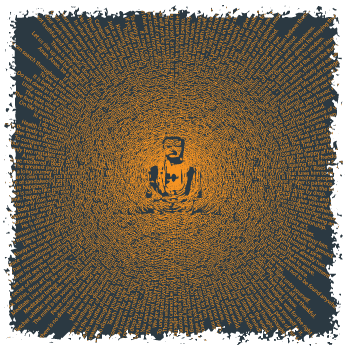 Where in our own minds are we accepting the rule of our ego? Lead the revolution to your own inner harmony! 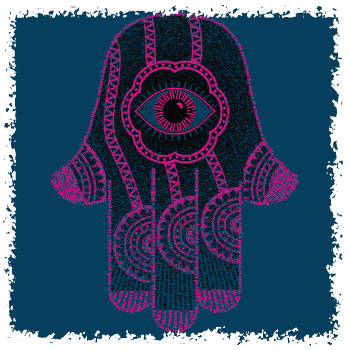 The downward facing 'Hamsa' is made of quotes and affirmations about receiving protection and good luck! 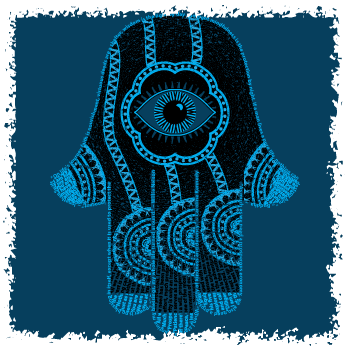 The Hamsa extends back to ancient Mesopotamia and is also known as the Hand of Fatima, Hand of Miriam, and Hand of Mary! 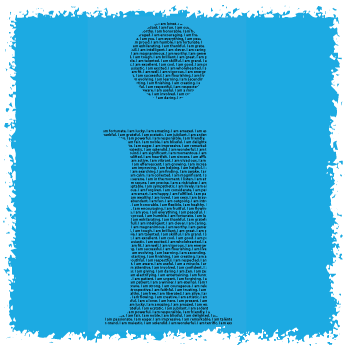 Our lowercase 'i' design is made out of affirmations that every human has been before at one time or another and can be again like "I am healthy. ", "I am mindful. ", "I am learning". We are all of these affirmations and yet they are not who we are. 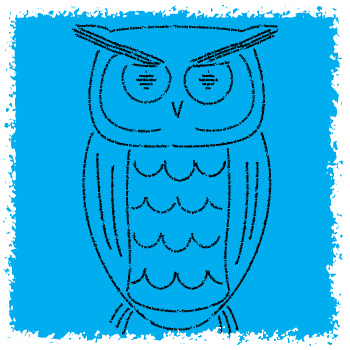 We use a lowercase i to represent the concept of a humble ego. 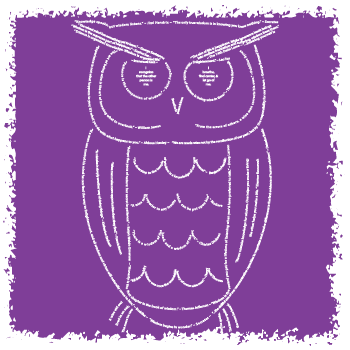 Using an affirmation is like putting on an outfit. There is a time to be urgent and a time to be patient. There is a time to be steadfast and a time to be flexible. You can be what you need to be when you need to be it. Let the ego serve you. Not the other way around. 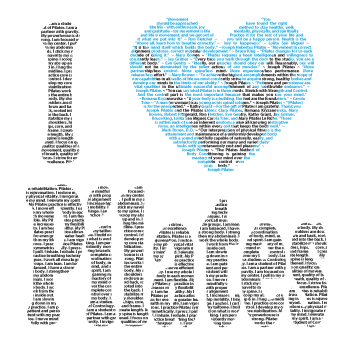 This Pilates design is made from quotations and affirmations relevant to Pilates. 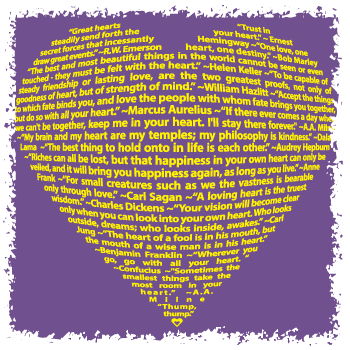 The heart contains a woman doing a teaser pose and is made out of quotations mostly from the PIlates Elders (Jospeh Pilates original students). Quotations from different leaders, heroes, and champions all about Courage! Courage comes in many forms. 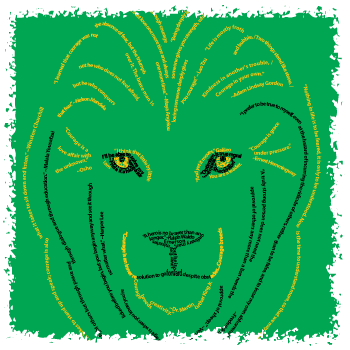 Explore them within the lines making up this lion. 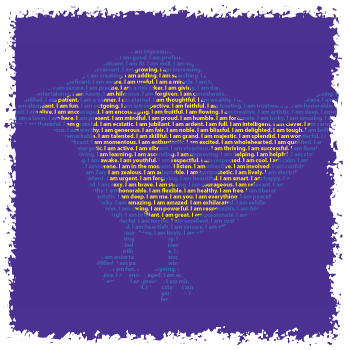 They are all tiny words! 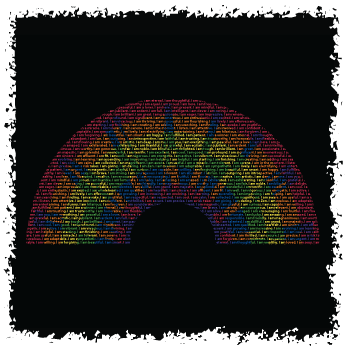 Our Pride Equality Rainbow is made out of positive "I am" affirmations that are true about every human being. We have all been these attitudes before and can be them all again as needed In larger letters and opposite colors tot the rainbow is the word "EQUALITY". We are all equal in this rainbow of humanity. We are all the same. 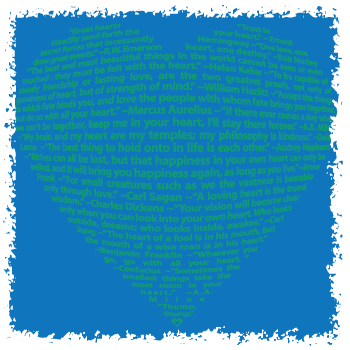 This Blue Whale design is made out of positive affirmations about the symbolism of a blue whale like "I am communicating. ", "You are powerful. ", and "We are navigating." 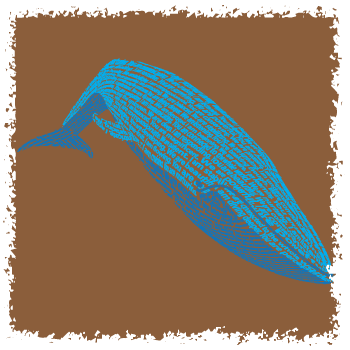 If you imagine the ocean as our emotions and thoughts, then the blue whale can safely navigate to the deepest depths bringing health to the ecosystem wherever they go.